When searching for the ideal location for your next outdoor vacation, consider the South Brunswick Islands of North Carolina to offer you beach excursions, wildlife parks, and historical charm that simply cannot be missed. Whether you are drawn in by the miles of pristine, white sandy beaches that line the coastline or the numerous trails that take visitors through lush vegetation in search of gorgeous bird species, you will experience the adventure of a lifetime when you stay in Sunset Beach NC house rentals in the area of your choosing. Whether you are oceanfront, mid-island or have views of the Intracoastal Waterway, Sunset Beach NC house rentals provide everything you need for a fabulous vacation. 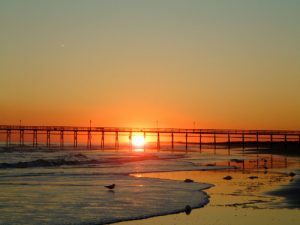 Most Sunset Beach NC house rentals come with basic features like a washer and dryer, a fully-equipped kitchen, and a deck where you can enjoy a relaxing lunch in the beautiful surroundings. The extra space and privacy, however, are what make your rental unique and set it miles apart from the cookie cutter hotels that lack the amenities and convenience of Sunset Beach NC house rentals. With so many miles of coastline, most individuals want to stay near the shore so they can not only participate in water activities but also enjoy the breathtaking views along the coast. You can find numerous waterfront homes in Sunset Beach where all you have to do for a day of fun and excitement is walk down the back steps and stroll over to the beach that sits directly behind your rental. These islands were meant to be enjoyed by many, so come here for your next family reunion or vacation and experience this outdoor paradise. It’s unlike any other place you’ve ever been.